With the advent of technology, the world around us has been undergoing a rapid change. FinTech aims at truly revolutionising the way in which financial services sector has been performing so far. Like all the other participants of the financial services sector, banking industry is also not immune from FinTech. FinTech is making it extremely easy to borrow, invest and lend money with just a click of a button. In this article, we will take a look at how FinTech will change the banking industry. The article will also highlight the experience in GCC and MENA region so far. In this article, we will take a look at how FinTech will change banking industry. The article will also highlight the experience in GCC and MENA region so far. Simply put, FinTech refers to the companies or services which utilise technology for simplifying any financial transaction. 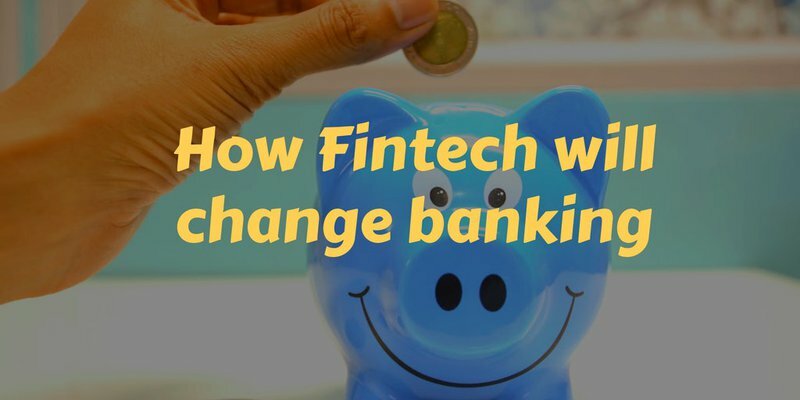 FinTech relies on internet and other technological services such as cloud computing and artificial intelligence to provide a number of services. FinTech aims at providing a seamless digital interface for carrying out a host of financial transactions. This also provides the users speed and efficacy. The banking industry, since its inception, has played a significant role in the lives of individuals and the economy. Banks have always been the safest place to deposit your earnings. At the same time, banks help you reap the benefits of the interest on your savings. It has also been the preferred choice for leveraging when required for businesses. Therefore, the ubiquitous nature of banks and its utility in our lives cannot be undermined. With the advent of FinTech, the day is not far away when interaction with a physical bank will almost cease to exist. In fact, the importance of physical banks is slowly fading away as we drift towards a technologically driven economy. The growth of FinTech has supplemented the growth of banking industry. It has helped to push its boundaries and enhance its performance. The World Fintech Report 2018  notes that FinTech has certain inherent advantages such as "their agility to launch and pivot, their laser focus on customer experience, and their freedom from the burden of legacy systems." The Report further notes that factors such as lack of a distribution infrastructure, challenges with regulatory compliance and absence of a known brand turn out to be the biggest challenges faced by the FinTechs in scaling their business. The symbiosis between the banks and the FinTech firms has primarily taken place in two ways. Either the banks and the FinTech firms have collaborated or the FinTech firms have been acquired by banks. One of the live examples of collaboration between banks and FinTech firms is demonstrated by the launch mobile and internet based banking app channels. Foremost in the wide array of changes brought in by FinTech has been the digitalisation of banking services. In doing so, FinTech has helped in the growth of an environment where all most all transactions can seamlessly occur on the digital space. This has precluded the need for physical visits to a bank. This move has helped the banks tremendously as transacting online is both cost and time efficient. It has also enabled customers in remote geographical regions to open and access their accounts with ease. FinTech has also enabled the transformation of banks into marketplaces. With the advent of fintech, consumers now have the luxury to access and compare several products on a single platform. Partnership between FinTech firms and banking institutions have expanded the economy and increased access. It has also been instrumental in increasing financial literacy among its customers through development of personal finance applications. As is evident from the examples above, it appears that Middle East has great potential when it comes to development in the banking sector linked to FinTech. A cooperative relationship between banking and FinTech will definitely lead to a brighter future of the economy. The relationship between FinTech and banking industry will prove to be mutually beneficial.